@erogenesis She looks great here. Fantastic work. @erogenesis You could always do a partial pose set to go along with the figure. She does backbends well, but how about forward? 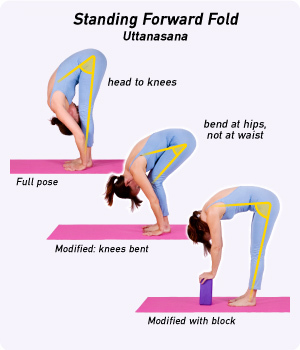 In the first example, her back is curved a lot higher up than what you've been showing on the backbends. btw, that forward bend is more from her hips rotating forward than her spine.... (or rather, her thighs rotating forward). When it comes to rotating backwards, the thighs cannot do that as much, otherwise the backbend would be just as extreme. @erogenesis those examples are excellent! With regard to the shoulder posing, I have made significant posing aids for my V4WM++ figure's shoulders. I have Orbit (amplitude of arm bend away from the T-pose) and Phase (collar/shoulder angular deviation from straight down or up) with ERC encoded trig functions (Sine & Cosine values every 10 degrees from -370 to +370) to convert the orbit rotations to fwd-back and up-down motions of the arms which helps with keeping the arm-pits at the right attitude. This allows "windmilling" of the arms with a single dial. I would be happy to share the details if you think it could be helpful, since I have zero prospect of incorporating them into a figure of my own creation. In response to the brokenness of IK integration with non-IK posing in Poser, I've ERC encoded many torso/leg pose actions for hip movement while standing (hip swing, sway & shot, legs crouch (simulates IK keeping toes on the ground while bending thighs, shins & feet and lowering the hip) & sit, feet tiptoe, etc. These are nice to have for streamlining my posing workflow, and any figure I'm constantly working with will probably have them bolted on sooner or later. Here's a sample of just the parameter groups from the chest, in the modular format devised by DAZ to allow injection of morphs into their figures at load time. Anyway, TL;DR I'm sure and I don't really feel comfortable with proposing things that might delay Project-E's release if they're better suited to after-market add-ons. I only mention V4 and the DAZ modular architecture, because they do make it easy for me to add new functionality to that figure without editing huge files. The arms unfold with a single dial, moving the hands directly from near the shoulder to their extended position. The thigh, shin, foot and toe bends and the hip height are a single Legs Crouch dial setting. no, I am still here, very very busy at the mo! I have to make a big decision for PE, moving my main comic characters over to mesh5, because that's the best and only way for me to guarantee that it will actually get completed and be any good...! Its a massive task. I really need to focus on getting PE done. She's taking too long. PS: PE is one massive master parameter/dependency programmed b... b... beast. Not sure about "master sync" though. That was one of the worst inventions ever. I am a programmer, I will link anything to anything, I rely on morphs being controlled from certain bodyparts, or whatever I specify, and some system to override that all is pure blasphemy to me. Regarding animation and keyframing, master sync was pure hell and it was one of the main contributors for me to switch back to PP2014. You need a base from which your keyframes are set, and able to be deleted (besides the fact that poser sometimes decides that a parameter's value can be repeated upon despite that has already been dictated upon by a dependency, which is a bug in itself, imo). I complained about that bitterly the instant it came out. I might have been the main reason they finally made it optional in SR6... which is something SM really need to learn up on, making things optional. They are not Facebook (or DAZ) that can get away with customer abuse and enforce things on us. Keep it real! @erogenesis I absolutely agree. It certainly seems to have been a half-arsed implementation. It really only seems to work as expected when you're actually twirling dials in the UI, and the thought that someone might save a pose that assigns different values to each end of a masterSync ERC chain has escaped them completely. Especially when you load a pose that only assigns a new value to the slave of a masterSync parameter, which immediately puts it out of sync with the master! @erogenesis By lacrimals, are you referring to the small, fleshy mass at the inner corner of the eye? If so, the proper medical term for it is caruncle. The real lacrimal gland is tucked in the eye socket behind the upper, outer orbital rim. so there will be an endless row of questions by people why you gave that odd name to the lacrimals. LOL! Maybe poser figures have lacrimals where real life people have carnulce. At least erogenesis will be able to truthfully make the claim that PE is anatomically correctly labeled! BTW do any of you know if its possible to change the load order of the scaling and rotations? I'm having trouble with scaling again and if I could just get the rotations to do its thing after the scaling then it might solve the problem. I've now noticed what is causing the scaling issues btw. When I include extra bodyparts to a joint, the bending WM goes well but of course the scaling did not get included. Hmpf. I've never figured out why its necessary to distinguish the lacrimals/caruncles anyway or make them separate geometry, which gets in the way and becomes a pain when you're trying to work on eye shapes. I just assign the whole area to "eye sockets" since that's where they're at and be done with it. Less mat zones to worry about. Does anyone have an actual reason to distinguish them? @AmbientShade Probably because the carbuncle normally has a fleshy color similar to the inside conjunctival surface of the eyelids compared to the sclera of the eye and the skin pigment of the outer surface of the lids, which would become noticeable if it was absent on closeup.